Today we call this Favre Leuba Bivouac a perfect outdoor watch. Back then, this timepiece was the epitome of extreme adventure, built for use in the mountains. 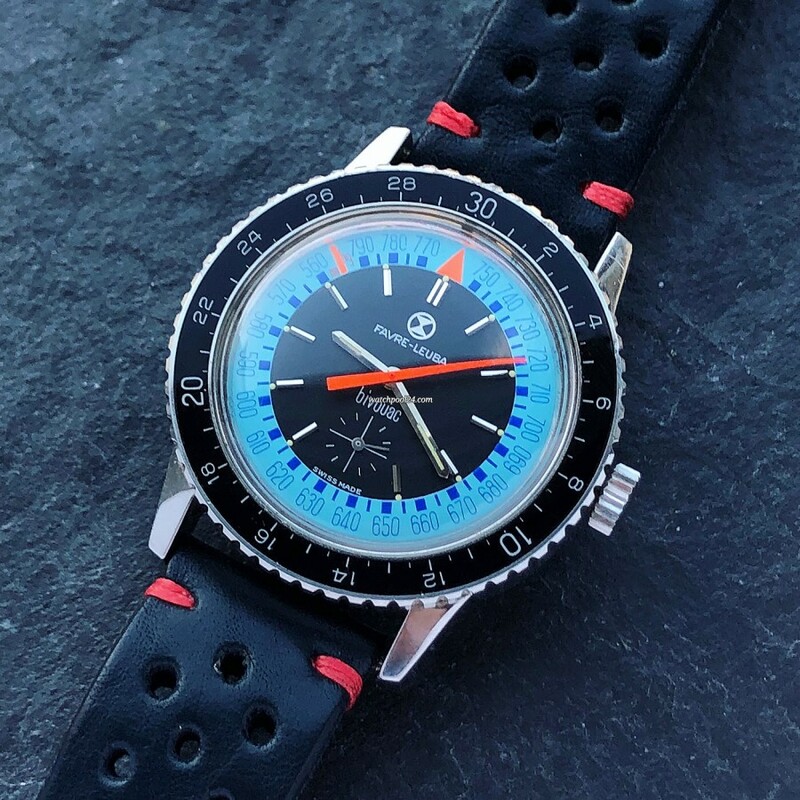 Presented in the 1960s, the Bivouac was the world's first wristwatch with a barometer and altimeter. Here we offer the reference 53223 with a blue barometer scale inside the dial. In the black inner sub-dial, the silver hour markers come along with the tritium lume dots. The small second sub register is at 6 o'clock. The black rotating bezel shows the height above sea level and covers 3000m. The condition of this particular Favre Leuba Bivouac is terrific. The dial has been perfectly preserved. Every single luminous dot is intact. The watch was hardly worn. The case is unpolished and has sharp lines and edges. The case back still bears the deep engraving: "BIVOUAC ALTIMETER BAROMETER" and the reference number 53223. There are even remains of the original blue company seal on the case back. All these things make that watch one of the best examples offered on the vintage market. This Favre Leuba Bivouac charms with its charismatic black-and-blue dial and unusual complications that still work well today. In addition, this vintage watch scores with a pristine and exceptionally good condition.